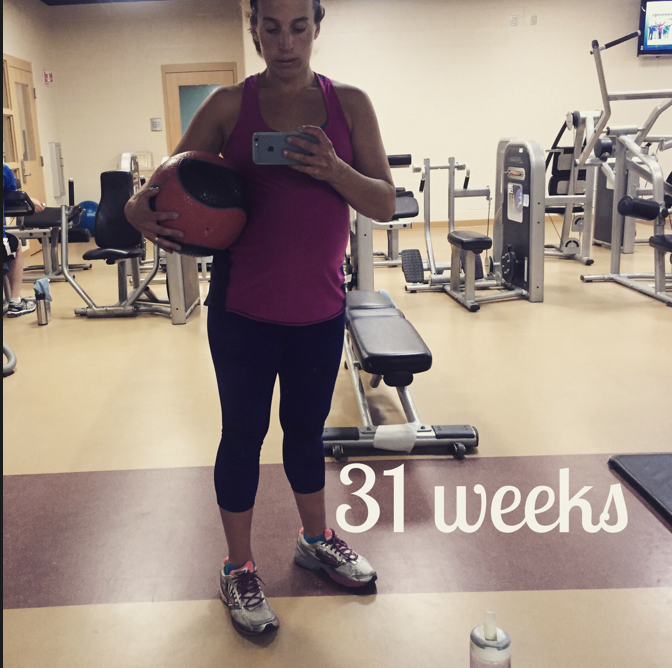 I wanted to do a round up of a few items that I love at the gym for the end of pregnancy, but most of them I can’t find anymore! I’m getting to a point where I have about 2 shirts that are long enough to alternate at the gym without being too short! 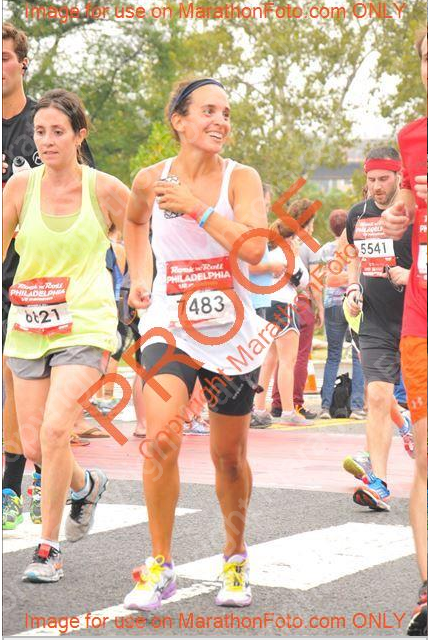 I’m able to wear my normal shorts & favorite running skirt from Athleta. I love this weather for the end – the less I have to pile on, the better! 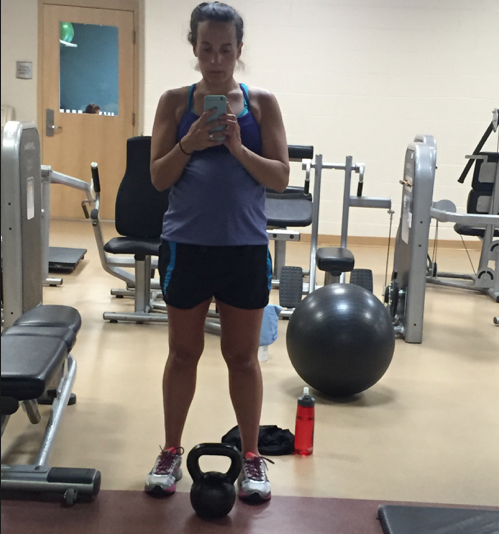 Here’s that shirt in September – love it! 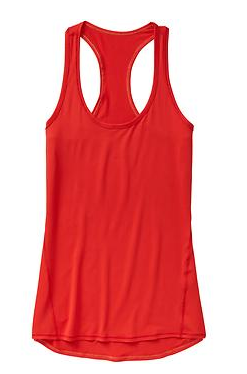 The last one that I love is the Chi tank in extra long from Athleta. I don’t love the 2 colors on the one I got, but it was an end of summer deal. Those 2 shirts are getting me through right now! 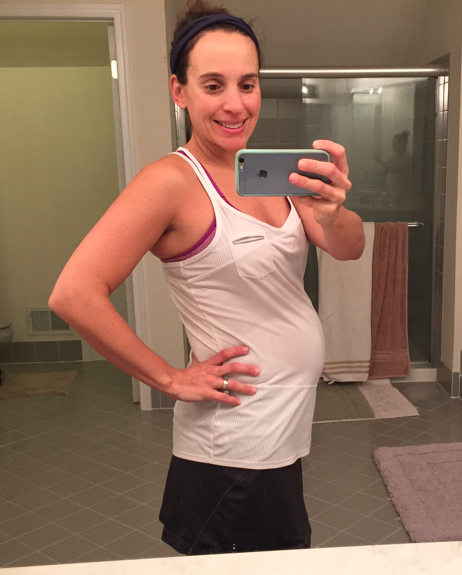 What did you wear for work outs at the end of pregnancy? 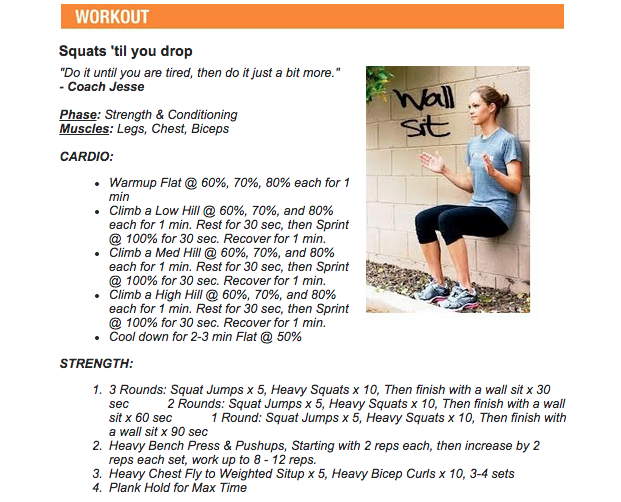 Today’s workout was called Squat Till Ya Drop! From Unite Fitness. I saw it yesterday and knew I was doing it because I need this baby to drop! 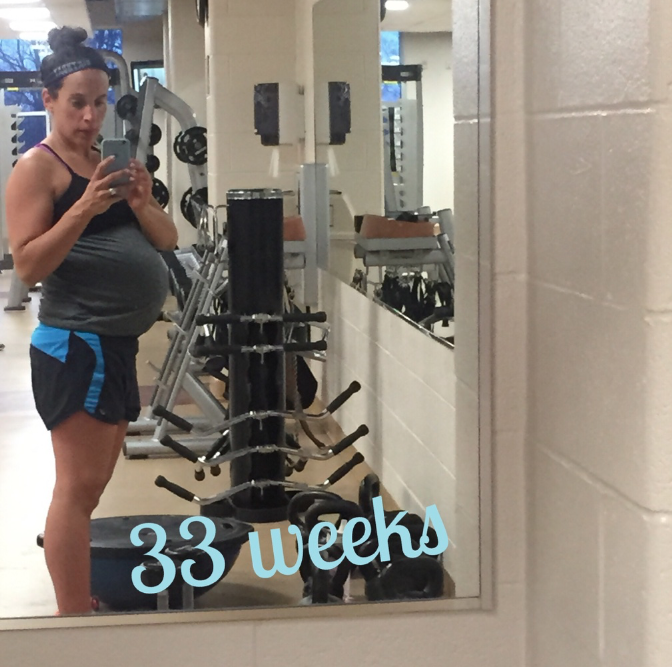 Still carrying pretty high up at 37+ weeks. It was a good one! Goes by quickly! I definitely wasn’t sitting as low as this girl pictured, ha!